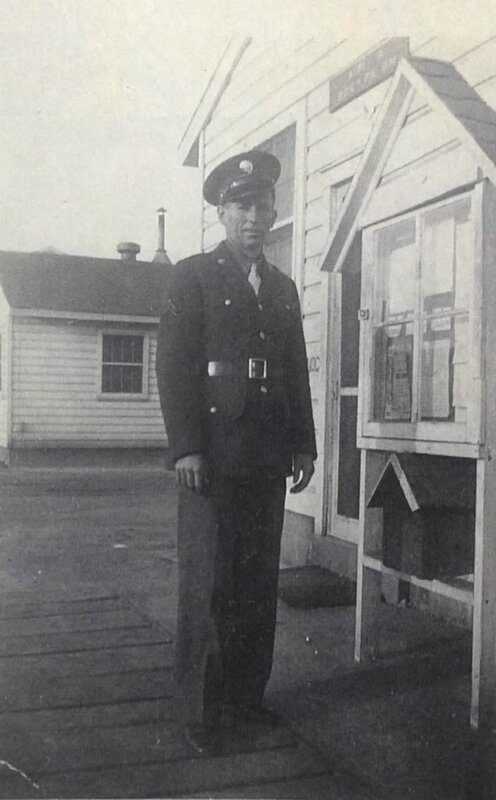 Tells us about the military service of your relatives. Angaur is a tiny limestone island, just 3 mi (4.8 km) long, separated from Peleliu by a 6 mi (9.7 km) strait. A very small indigenous population lived by farming, fishing, and phosphate mining. In mid-1944, the Japanese had 1,400 troops on the island, under the overall command of Palau Sector Group commander, Lieutenant General Sadae Inoue and under the direct command of Major Goto who was stationed on the island. 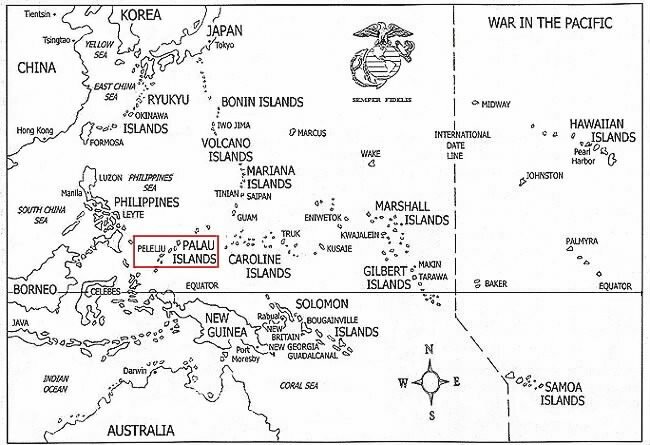 The weak defenses of the Palaus and the potential for airfield construction made them attractive targets for the Americans after the capture of the Marshall Islands, but shortage of landing craft meant that operations against the Palaus could not begin until the Mariana Islands were secure. Bombardment of Angaur by the battleship USS Tennessee, cruisers, and SBD-5 Dauntless dive bombers from the aircraft carrier USS Wasp began on 11 September 1944. 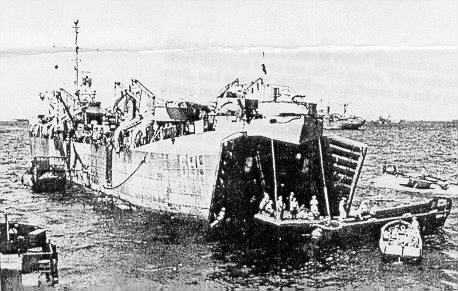 Six days later on 17 September, the U.S. 81st Infantry Division—commanded by Major General Paul J. Mueller—landed on the northeast and southeast coasts. Mines and congestion on the beach initially gave more trouble than Japanese counter-attacks. But resistance stiffened as the Americans advanced on "the Bowl", a hill near Lake Salome in the northwest of the island where the Japanese planned to make their last stand after the rest of Angaur and Saipan town, were taken. There was another small position where the Japanese had about 400 soldiers in a defense at the South East corner of the island that was neutralized on September 20 after 2 days of harsh fighting and about 300 U.S. casualties. 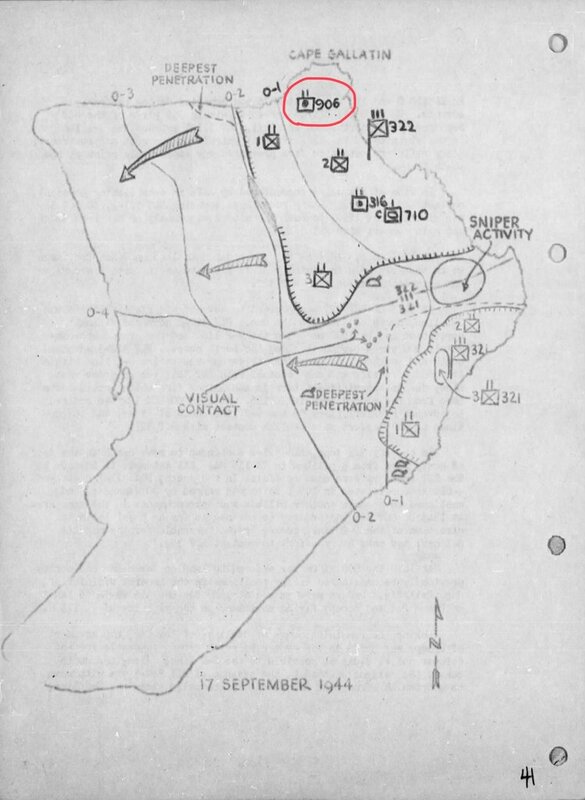 From 20 September, the 322nd Infantry Regiment repeatedly attacked the Bowl, but the 750 defenders repulsed them with artillery, mortars, grenades and machine guns. Gradually, hunger, thirst, and American shellfire and bombing took their toll on the Japanese, and by 25 September the Americans had penetrated the Bowl. Rather than fight for possession of the caves, they used bulldozers to seal the entrances. 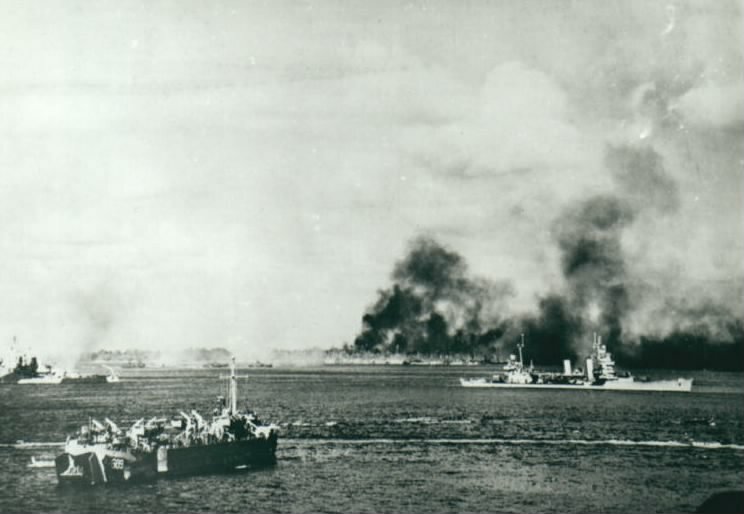 By 30 September, the island was said to be secure although the Japanese still had about 300 more soldiers in the Bowl and surrounding areas that held out for almost 4 more weeks. Towards the end of the first week of October, 1944, the protracted conflict had degenerated into minor patrol action with sniping, ambushing, and extensive booby-trapping employed by both sides. The island's defense commander, Major Goto was killed on October 18 fighting to keep possession of a cave and the last day of fighting was October 22 with a total of 36 days of fighting and blasting the Japanese resistance from their caves with explosives, tanks, artillery and flamethrowers. 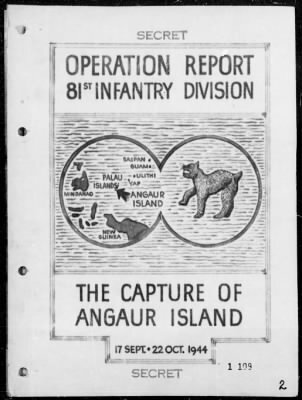 The 81 Infantry Division had finally taken the whole of Angaur with relatively light casualties but met the same stiff resistance that was found on Peleliu. 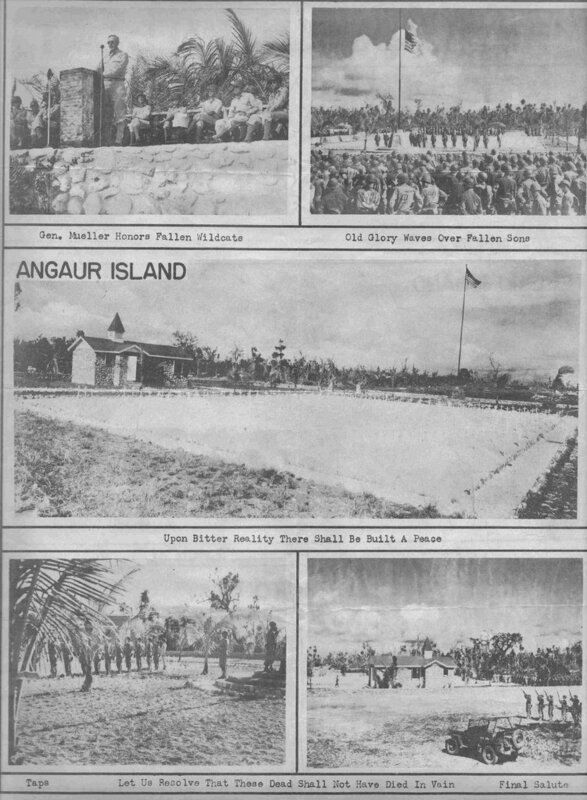 The battle of Angaur was a rare occasion where the American casualties outnumbered the Japanese casualties with 2,560 U.S. to 1,397 Japanese. 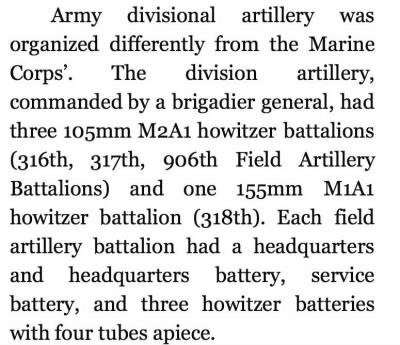 These figures were a direct result of a saturation of mines and booby traps and the fact that the Americans outnumbered the Japanese by a factor of almost 10:1. Americans 10,000 - Japanese 1,400. Airfields were being constructed as the battle was still being fought, but the delay in the start of the Palaus operation meant that the airfields were not ready in time for the start of the Philippines operations in October 1944. Admiral William F. Halsey, Jr. had argued before the invasion of the Palaus that the operation was unnecessary, and military historians have agreed with him, suggesting that the main benefit was the combat experience gained by the 81st Infantry Division. During the fighting, Seabees worked on creating an airstrip that would later house B 24 Liberator bombers of the 494th Bomb Group, 7th Air Force, that did frequent bombings of the Philippines and other Palau Islands. 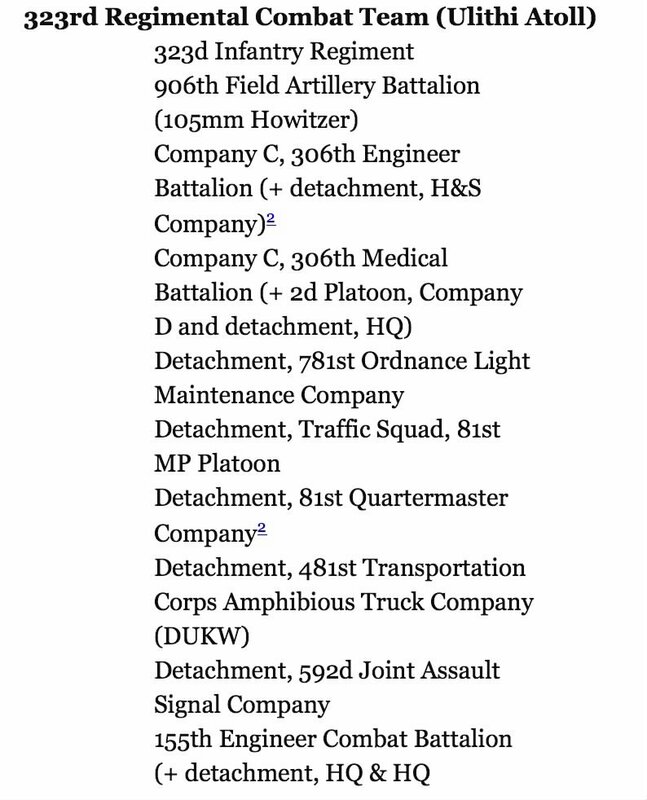 Also, the mop-up operation would be continued by the 322nd due to the 321st and 323rd were on Peleliu. The end of the mop-up and total control of the island was on October 22 with a total of 36 days of fighting. 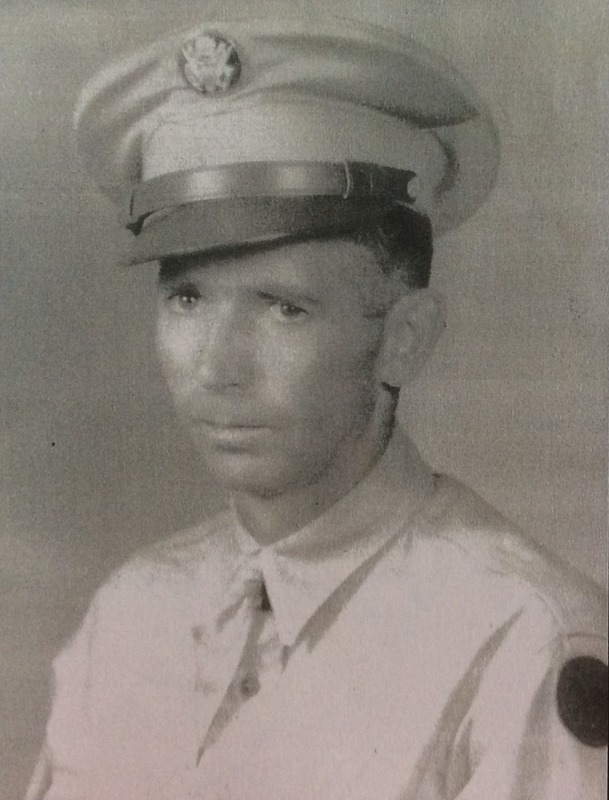 The 81st Division moved on directly to the battle on Peleliu Island to aid the 1st Marine Division, which had encountered extremely stiff resistance in the central highland of that island. They would remain on Peleliu for another month taking the island and mopping up.